Music’s biggest night finally happened. You never know how you are going to feel about the Grammy Awards until you see how celebrities rock the red-carpet. The 61st edition of the Grammy’s went down last night, which meant music’s biggest names gathered at the Staples Center in Los Angeles to celebrate the past year’s biggest albums, artists and overall music moments. We all know how red-carpet is a major segment in any award show. Popular celebrities put their best leg forward. Here is how some of the biggest names brought their A-Game to the red carpet. Keeping Up With The Kardashian’s star Kylie Jenner never disappoints when it comes to fashion. 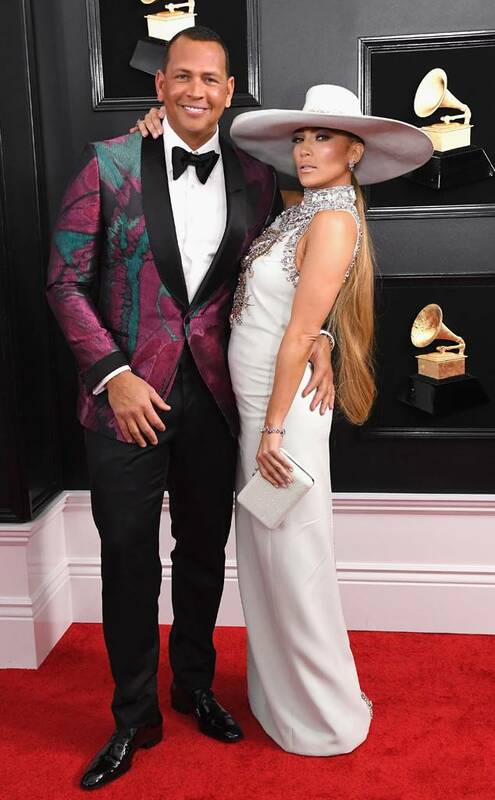 The mother of one slayed her way into this year’s Grammy Awards in the company of her baby daddy, pop-star Travis Scott. Kylie rocked a baby pink jumpsuit while Travis had a black tuxedo. The most loved boy band went all the way out for this years edition of the Grammy’s. They rocked black and white tuxedos, accompanied by their beautiful wives who were dressed in black outfits. The Latino beauty Jennifer Lopez alias JLO kept it chic. She wore a white gown with a matchy white hat, as her man beamed in a black and white outfit paired with a colorful blazer. Hip-hop power couple Offset and Cardi B rocked the carpet in style. 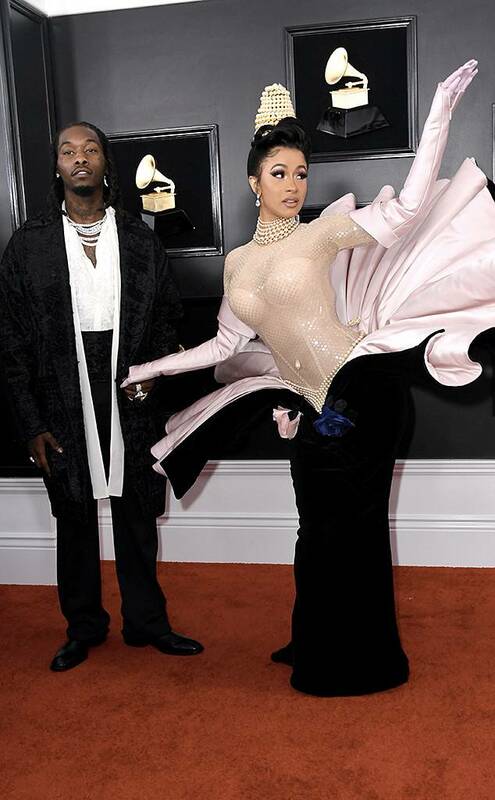 Cardi wore a black gown which had baby pink details on it’s hand while Offset had a black and white outfit paired with a long black blazer. The 2019 Grammy awards host Alicia Keys was yesterday accompanied by her producer husband Swizz Beat. Alicia had a long red gown on while the husband rocked a black tuxdo with red details on the side.